When I first had read "Time Is On My Side" was not written by The Rolling Stones, I was really surprised. I have never heard of the version by Irma Thomas. But you should give it a try - it sounds quite good. But the Rolling Stones made a hit out of it. 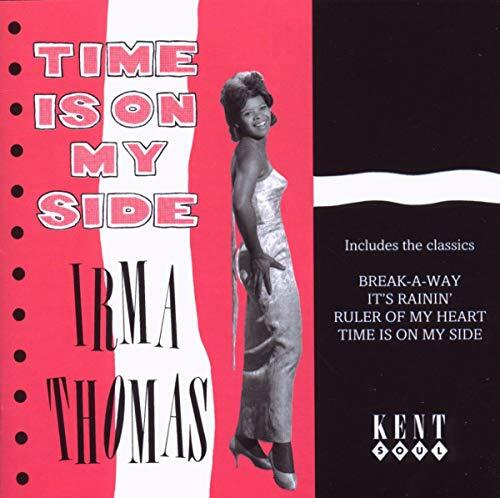 With my investigation I found out that the version by Irma Thomas actually is not the original. Kai Winding with The Enchanters as vocal group already released the song in October 1963, but I couldn't find a sample of his version. Treme. 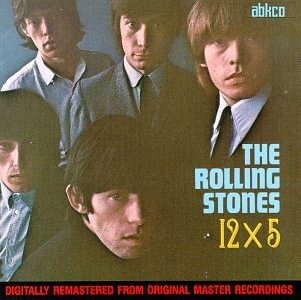 Definitely like it better than the Stones cover though I'd like to find the true original just to compare. It is a shame that for so many the Rolling Stones' version of the song is the one that's remembered. Irma you go girl! "Time Is on My Side" is a song written by Jerry Ragovoy (under the pseudonym of Norman Meade). First recorded by jazz trombonist Kai Winding and his Orchestra in 1963, it was covered with additional lyrics by Jimmy Norman by both soul singer Irma Thomas and The Rolling Stones in 1964. Not quite so Debbie, Irma never stopped performing or recording. Her last album was released in 2008. Irma's version is classy and beautiful, the Stones is an immature, poor vocalized/harmonized ripoff, but when you having screaming girls and are on Ed Sullivan's national television show, the hit goes to you. Ms. Thomas is one of my favorite singers. Too bad the ripped off version of her lovely song happened. She quit performing it as a result. No contest, prize goes to Erma Thomas. I only discovered this version a few days ago but it became an instant classic for me and I don't need to hear the Stones version anymore. This surely is the real deal. I knew only the rolling version and two italian covers by the kings and equipe 84. the Irma version is great! you o know that Kai Winding and his Orchestra first recorded this song in 1963. So both of these artists are covering the song. Irma's voice makes me feel as if some kine of heavenly nurse has my ears in her hands, but the Stone's version is the one that will continue to be in rotation on my player, and Irma's "Times Have Changed" will continue to play next. The Stones were just as taken with Irma's version as everyone else. It's just that African American artists of that era did not get the airtime and exposure that bands like the Stones did. They were just trying to get them the exposure they rightly deserved. Even though it was a hit for the Stones I think that it is an enemic version of Irma's. Not enough soul. Nice try though.